A new report from the NBC affiliate in Los Angeles reveals that 2020 hopeful Senator Kamala Harris has been provided an “unprecedented” level of security by “armed, plain-clothes LAPD officers” since January 2017. The officers were sent to cities outside of Los Angeles at least a dozen times racking up $28,000 on the taxpayer dime. 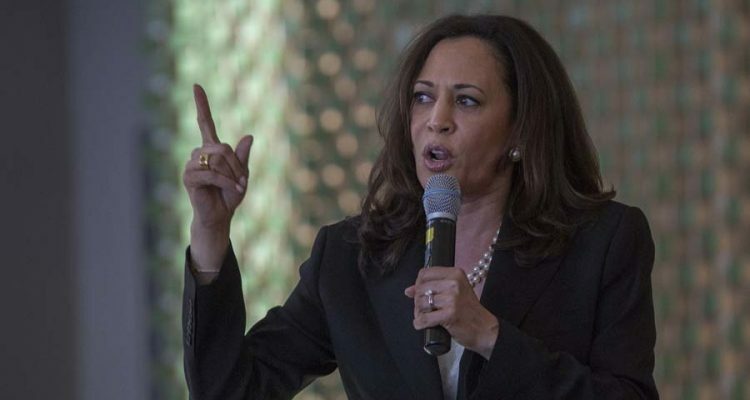 Her fellow 2020 hopeful, LA Mayor Eric Garcetti passed the buck by blaming the former LAPD chief and refusing to come to Harris’ defense. In Harris’ race to win the far-left of the Democratic party, additional security detail and thousands of dollars in taxpayer money won’t win the hearts and minds of progressives. Armed, plain-clothes LAPD officers were dispatched to California cities outside of Los Angeles at least a dozen times to provide security for US Senator Kamala Harris at public events, media appearances, and a party. Officers also traveled to Sacramento, Fresno, and San Diego for Harris. The use of the officers and the purpose of the trips were confirmed by Harris’ office.